Motorola brings to you a wide range of products you need to get the job done in any business. 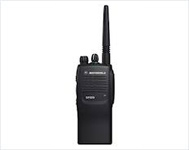 More channels, more features, more of everything that makes a two-way radio indispensable. The more you depend on clear communications, the more you will appreciate the Radius GP300. It offers state-of-the-art technology at a price readily affordable by even small and medium size users. 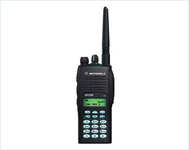 The GP 328 Professional Radios Is A Practical Radio. 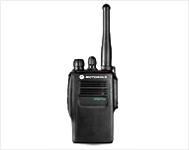 The GP328 is the two-way radio solution for professionals who need to stay in contact but don't require extra features. The Power Tool for Contact & Control. Easy To Use, Lightweight Yet Rugged To Suit Your Every Need. Gp338 Portable Radio is A Versatile Radio. The GP338 is certified by the US Factory Mutual standard intrinsically safe to operate in hazardous atmosphere. Whether it's the harsh environment of a construction site or the posh elegance of an exclusive hotel, the radio of choice is the GP338.It's the radio that grows with you. The GP Plus Series are commercial quality radios which has been tested to MIL810 (C, D and E) Military Specification Standards including temperature extremes, solar radiation, rain, humidity, salt fog, dust, vibration and shock. These tests were conducted subject to specific military procedures. 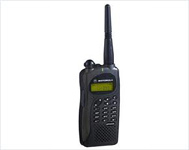 GP628 radio is A Rugged Radio for Harsh Environments. It's dust-tight and water submersible. 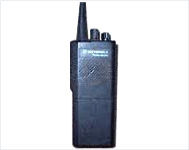 Motorola GP628 is IP67-rated. The Motorola GP628 is lightweight and compact and will not hamper you During rescue operations. GP628 Compact & Easy to Use. 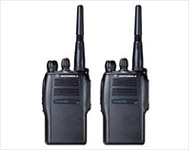 Motorola's smallest professional two-way radios have received Factory Mutual (FM) Approval and meet Military Standards (MIL) 810C, D, E and F.
GP2000 is an Alpha Series Portable Radio. Motorola GP2000 is sleek and compact for portability. Ideal for manufacturing, hotels, retail and other service industries. Large front panel buttons provide easy programming of the radio functions without software. Enhanced ergonomics with compact; modern curved design for easier handling.